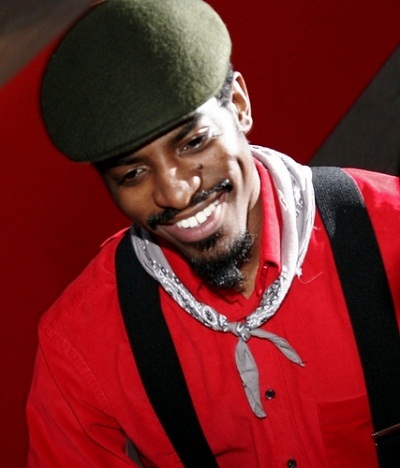 André 3000 is an American rapper, singer, songwriter, record producer, actor, and dancer. He is a member of the hip hop duo Outkast, with Big Boi. He is the son of African-American parents, Sharon Benjamin-Hodo and Lawrence Harvey Walker. André has a son with singer, songwriter, activist, and actress Erykah Badu. I’ll wear costume jewellery on stage, but I only actually own one piece of jewellery, and that’s a Native American beaded necklace that I wear all the time. I bought it years ago because my family has Native American roots – I’m part African, part Native American. It is not clear if this Native American ancestry has been verified/documented. André’s maternal grandparents are Grant Benjamin, a minister, and Elnora Norris. Since Hudson and Walker appear as the names of his father’s aunts and uncles, I assume that his grandmother was probably named Hudson. well, * According to Ancestry.com, the average African American is 65 percent sub-Saharan African, 29 percent European and 2 percent Native American. * According to 23andme.com, the average African American is 75 percent sub-Saharan African, 22 percent European and only 0.6 percent Native American. * According to Family Tree DNA.com, the average African American is 72.95 percent sub-Saharan African, 22.83 percent European and 1.7 percent Native American. * According to National Geographic’s Genographic Project, the average African American is 80 percent sub-Saharan African, 19 percent European and 1 percent Native American. * According to AfricanDNA, the average African American is 79 percent sub-Saharan African, 19 percent European and 2 percent Native American. Dude looks like he came over from the boat… definitely If he has native american it is low. He possibly more than like is 10-15 European. Not to be offensive, as he could very well be Native American, but almost every black person I ask claims they’re part Native American. I think it has more to do with a “shame” or stigma of acknowledging they are indeed all Sub-Saharan black. I know looks can be deceiving, but he looks like every other African guy in the Congo. The avg African American probably does acknowledge their European blood, they just don’t jump for joy about it. Probably because of the possible way they came by that bloodline. However, why is it that everyone wants black people to acknowledge their european blood. When it comes to white people, the mere mention of them not being pure (or a celeb they like), send them into a rage(no one says anything about that). Even when the black bloodline is proven, people still get upset about it. I seriously doubt it has anything to do with shame about him being African. If he said he was Indian, then he probably going by stories pass down to him, about an Indian ancestor.